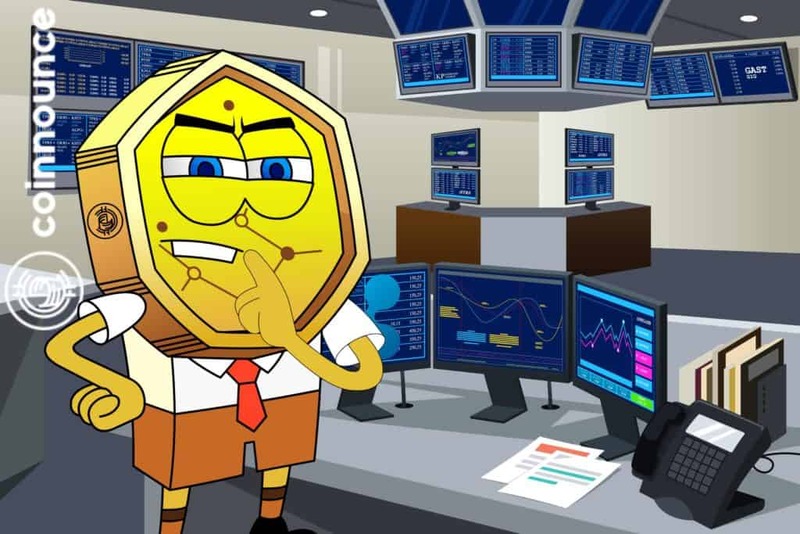 XRP’s upward journey was temporarily suspended as the cryptocurrency enters into a range-bound market. The struggle for the market control between the bulls and the bears were continued. Neither are ready to give in. $0.4870 in the resistance area was the point the bull pushed the price on 21st October above the two EMAs and lost momentum with the candle closing as an inverted hammer while the bears gradually return. 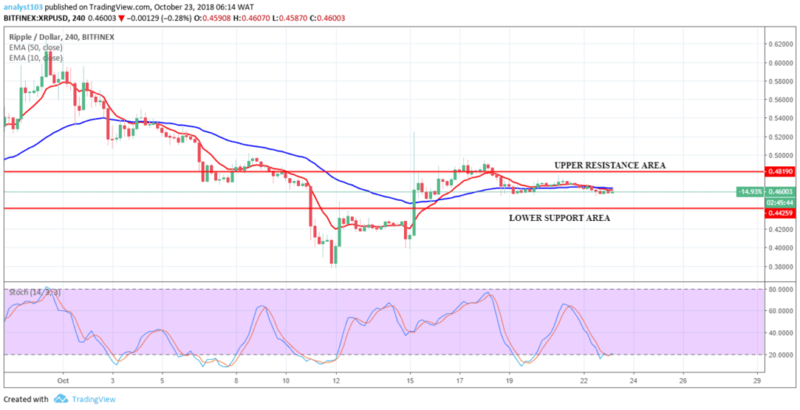 The bears increased momentum pushed XRPUSD down to $0.4563 in the support area on 22nd October below the two EMAs crossover. The stochastic oscillator is in the oversold region at 19% but its signal is undefined a reflection of the ranging scenario. XRPUSD is in consolidation and trading between $0.4819 in the upper resistance area and at $0.4425 in the lower support area of the range. Traders should be patient at this period and allow a breakout at the upper resistance area or breakdown at the lower support area before taking a position with good reversal candlestick pattern that confirms the direction.